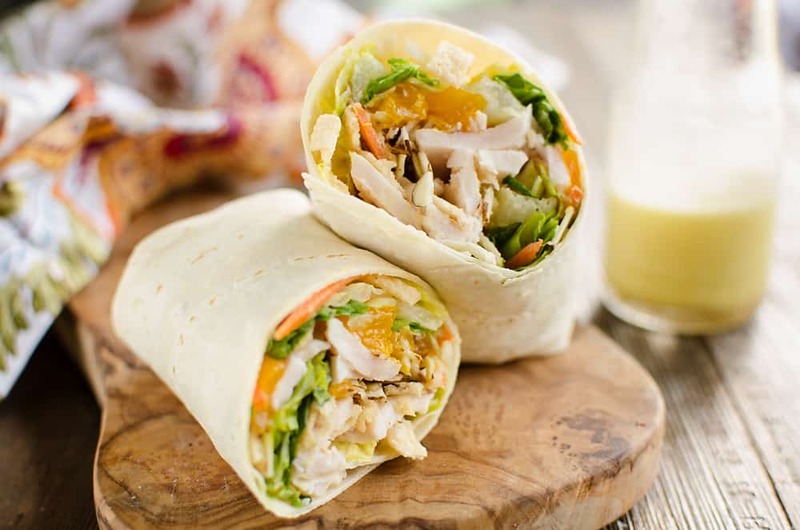 Light & Crunchy Orange Chicken Wrap is a healthy and flavorful lunch idea made with wontons, almonds, mandarin oranges and chicken. When I am looking for a light and healthy lunch option, wraps are something I love for a quick meal. 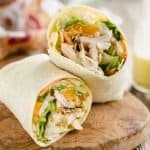 From a Light Chipotle Chicken Wrap to the hugely popular Healthy Buffalo Chicken Wrap, you can wrap up so much flavor in one easy to transport recipe. 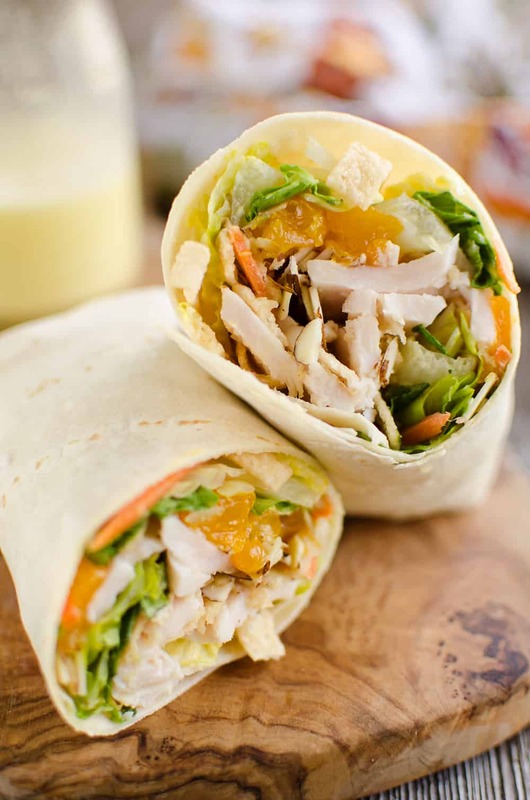 This Light & Crunchy Orange Chicken Wrap is no exception! 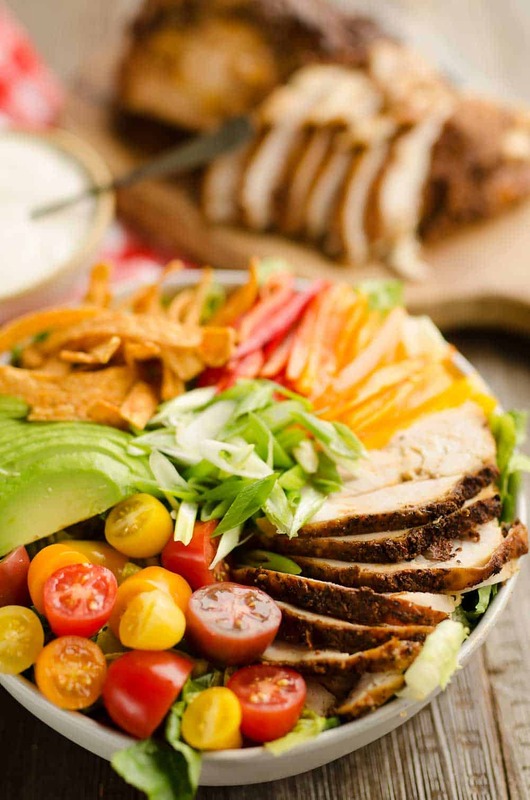 It is full of crisp romaine lettuce, carrots, chicken, almonds, crunchy wontons, sweet mandarin oranges and a homemade Light Orange Ginger Vinaigrette. 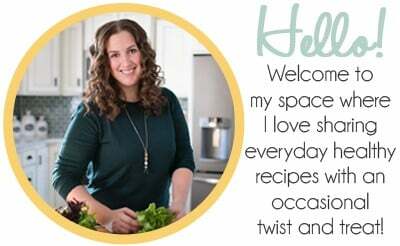 I have made this wrap more times than I can count because it is such an easy and healthy meal packed with flavor and crunch. My go-to wraps for a low-carb option are Tumaros. I found these at my local grocery store a couple of years back and tried them out because I loved the macros on them. I didn’t have high expectations for the texture, but they actually ended up being fantastic. They come in a few different varieties and are my favorite wrap option. They are nice and thin so they don’t overpower the ingredients and flavors in whatever wrap you are assembling, but are strong enough to hold it all together. 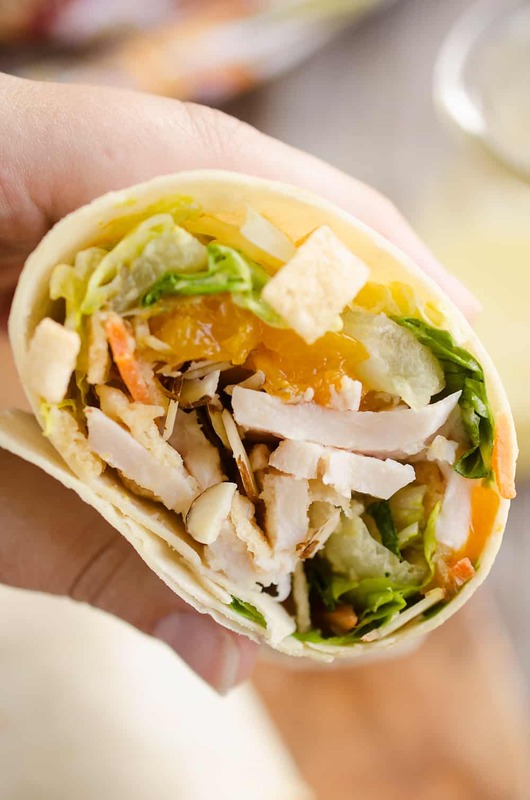 Layer the lettuce, chicken, oranges, almonds, wontons and carrots over the wrap. Drizzle with the vinaigrette and fold into a wrap. Enjoy! This looks absolutely DELICIOUS!!!! I can’t wait to try it!!! I love the addition of the wontons! 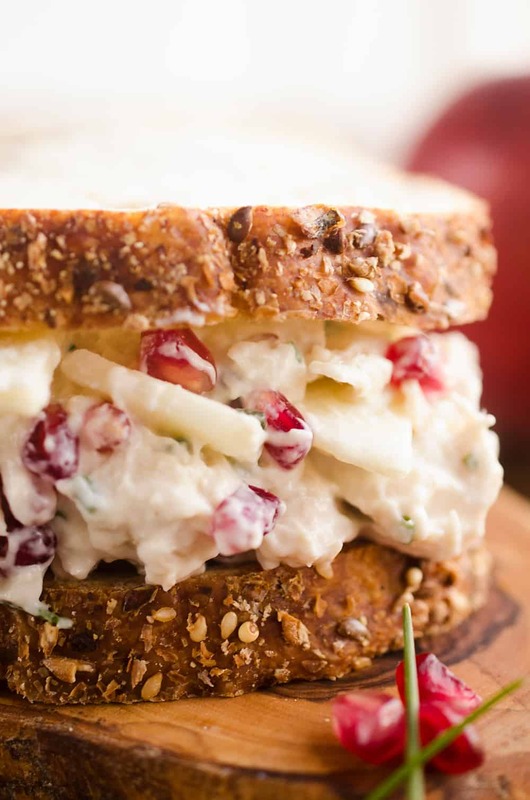 Extra crunch to go along with the super yummy flavors! 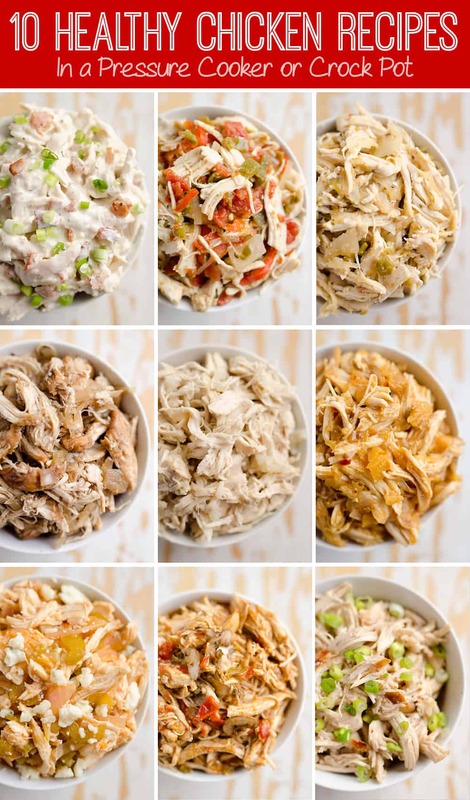 These look perfect and if I am trying to lose weight I like things with extra crunch, it’s more satisfying for me. OK, this wrap looks and sounds insane! The sweet and savory elements make me so happy, and the crunch from the wontons? Brilliant. I cannot wait to try them!